An authentic Preston eatery with a modern Asian fusion twist. Despite its big, double-fronted entrance, you'd be forgiven for driving right past this fun, modern Asian restaurant, which sits unassumingly on a small roundabout at the end of Gilbert Road in Preston. 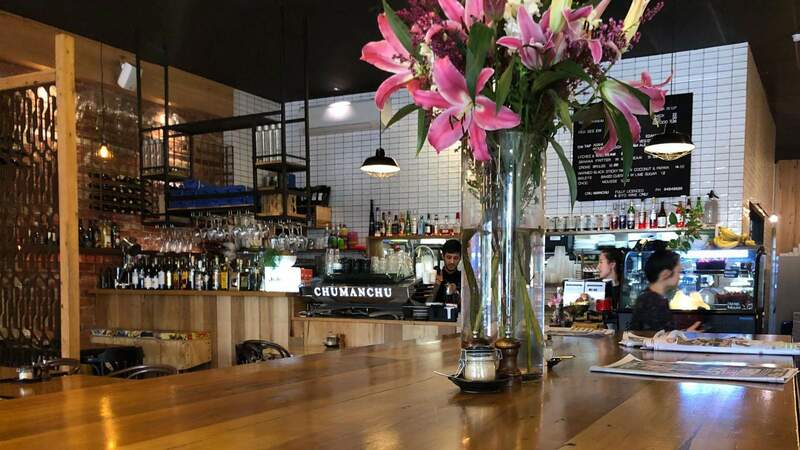 In a pocket of not much else, Chumanchu has been serving sophisticated, yet relaxed Asian (mostly Vietnamese and Thai) food to Melbourne's northsiders for over five years. The lunch and dinner menus hit all the favourites: pho ($14–15), mee goreng ($21), curries, banh xeo pancakes ($19–21) and rice paper rolls ($7–8) — owner Marten Chu is the brother of rice paper roll queen Miss Chu, after all — along with some fabulous surprises, like mussels in a hue and lemongrass broth with Thai basil and coriander. But why not really push the boat out and go for breakfast, starting your day with the likes of rice congee ($15) with quail eggs and dried scallops, or the ever-popular okonomiyaki ($18) with smoked salmon and wasabi mayo? You're sure to leave Chumanchu satisfied, perhaps with a new favourite dish and definitely with a reasonably priced bill. It might not be the most authentic fare in the 'hood, but Chu and his team get big ups for bringing something fresh to the area, and creating a dining experience that shoots way above its cheaper, canteen-style counterparts.